Miami, Florida-based artist Dara Friedman was born in Germany where she studied with the pioneering experimental Austrian filmmaker Peter Kubelka. She received an MFA from the University of Miami, School of Motion Pictures, Miami, Florida and has attended The Slade School of Fine Art, University College, London, U.K.; Stadelschule, Frankfurt am Main, Germany; and Vassar College, Poughkeepsie, New York. 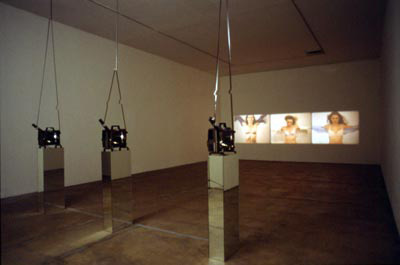 Dara Friedman has participated in group exhibitions such as the 2000 Whitney Biennial, The Whitney Museum of American Art, New York; Heads Up, Museum of Contemporary Art, Miami, Florida; and Leftover Festivities, Nature Morte, New Delhi, India. She has had numerous solo exhibitions including Gavin Brown’s enterprise, New York, New York; Museum of Contemporary Art, Chicago, IL; and she is stupid I am worried, Frederic Snitzer Gallery, Coral Gables, Florida (with Mark Handforth).